Nature is unpredictable (that’s 99% of the fun – you never know what’s going to happen). Last night I went out to a local lake to photograph ducks, swans and gulls – the usual, everyday normal stuff in the park. There was lots going on around me, a woodpecker in the tree right behind me, a tree-creeper creeping along the branch over my head, and the crimson bullet of a kingfisher that shot past, steering out into the middle of the water and circling a few times, before coming into land somewhere across the water from me. But as the light grew dim at the close of the evening, the best thing around was the pond skaters right in front of me. I love the little dimples they make on the water, and the patters of ripples when they move. Having a good selection of kit with me, I was able to switch lenses and go macro. 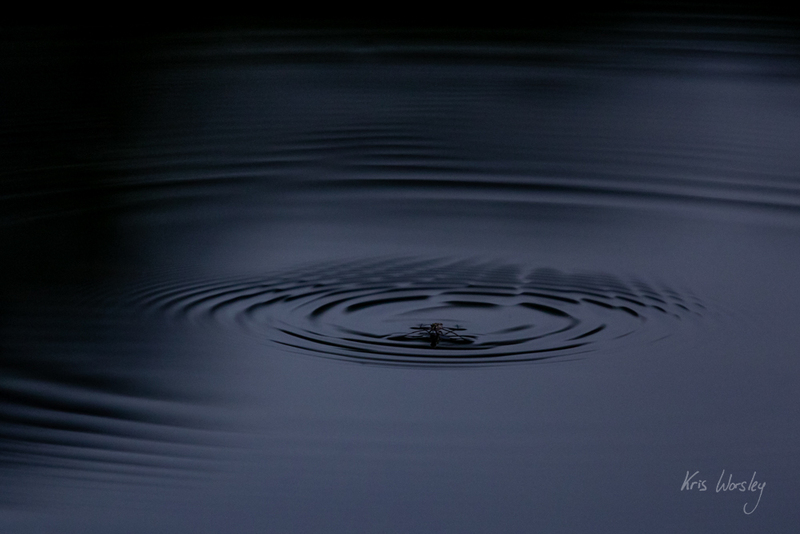 I tried to use the half dusky light to accentuate the contrast of the clear water and the ripples, also moving around to let the reflections of the trees on the opposite bank create an arc of shadow at the top of the images. Pond skaters on the water are Good News – since they go off to hibernate in the autumn, this means that it must still be summer, although I know I’m not the only one who’s noticed the trees starting to turn Autumnal over the last week or so. 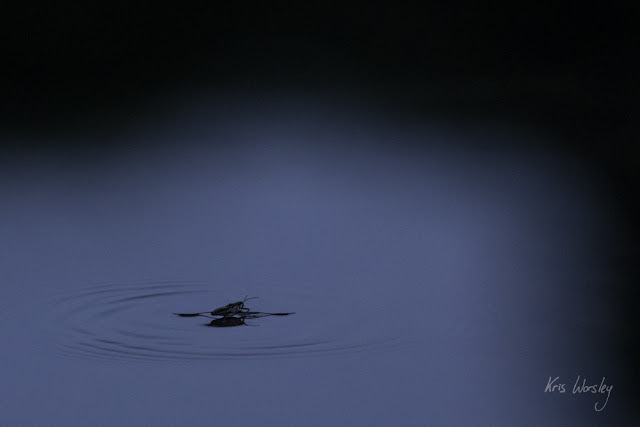 So look out for the pond skaters – if you find them hibernating in your shed, you’ll know autumn has really arrived, but while they’re on the water, you can still get out and enjoy an ice cream.